Atlanta is epicenter of the LGBT South. Home to a vibrant gay, creative and artistic community filled with remarkable people. Atlanta boasts numerous must-visit establishments and can’t-miss events. With such a rich culture filled with festivals, arts and fine dining, it’s easy to see why Atlanta is a top destination for LGBT visitors. Getting around Atlanta is easy, neighborhoods are close together within the city. The MARTA has a sophisticated network of buses and trains that easily help get you from A to B. The stop at 10th Street and Piedmont Avenue, you’ll see that the sidewalks are painted in rainbow colors. That’s because that intersection in Midtown is the center of Atlanta’s large gay population and cultural scene. 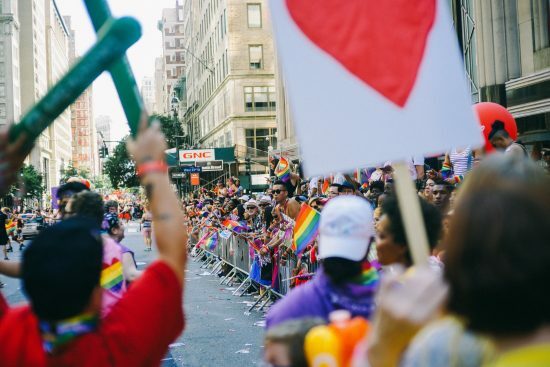 The Gay Pride Parade is one of the largest in the country, and they are very proud of the city’s welcoming atmosphere. The Ansley Mall and Cheshire Bridge Road have many new options for nightlife. The Little Five Points is more hipster style with record stores, indie music and theater scenes. The famous Charis Books & More, a lesbian and feminist bookstore that has persevered for decades and continues to draw crowds for readings, performances and workshops.